Blood and soft tissue in T- rex bone? Young Earth and Supernatural Creationists claim that Dragons, re-termed Dinosaurs in 1841 by Richard Owen, were part of the original Creation of God and coexisted with Humans. There are some evolutionists and others who propose coexistence, albeit a limited one. Atheist and agnostics using evolutionary theory claim that it is ridiculous and silly to claim that humans and dinosaurs coexisted as many creationist and crypto zoologist propose. My Atheist friends may claim me insane for thinking that Supernatural Creation can contend that the evolutionary organization of the fossil record can be invalidated. I contend that yes, the natural progressive evolutionary interpretation of the fossils and fossil record is wrong, unscientific and based often on blind faith. Go big or go home. The dates themselves are not as important as the fact that there is measurable Carbon-14 in dinosaur bones. If dinosaurs have been extinct for 65 million years, there should not be one molecule of Carbon-14 left in their bones! This graph is comparing a variety of carbon dates. The left side shows the age scale; the numbers on the bottom show the sample number and what color dot represents it in the scatter plot, followed by a detailed list of the samples and the sources for that date. You’ll notice that the first two datapoints (purple), the oldest ages returned, are Neanderthal bones. Next are several carbon dates of large mammals (the two low numbers are mammoths). The majority of the dates shown (datapoints 8-27) are dinosaurs, and datapoint 28 is a mosasaur, a sea creature that is supposed to have gone extinct at the same time as the dinosaurs. Some skeptics will claim that there is not enough carbon-14 in dinosaur bones to date them, but this is not the case. Notice that the oldest carbon dated dinosaur returned an age of 39,230 years, a far cry from the 50,000 year terminus some claim. And notice that many of the dates of the dinosaurs are within the range of the large mammal dates, and all of them are younger than the Neanderthal dates! This means that, according to conventional carbon dating, Neanderthals must be older than the dinosaurs, and dinosaurs and saber tooth tigers must have lived at the same time. And before the objection comes up that these are contaminated from preservatives used on the bones, for datapoints 10 and 13 the bones were cut open and samples were taken from inside (Hugh Miller, “What’s Up With C-14?”, Mt. Blanco Fossil News, September-October 2010, p. 13) so no exterior preservative can be claimed as contaminating these dates. as problematica. The thing is, they’re only problematic for evolution and an old earth. Other examples could be named – in the Grand Canyon, horse hoofprints were found in rock layers supposedly 100 million years before hoofed animals appeared (Edwin D. Mckee, The Supai Group of Grand Canyon, Geological Survey Professional Paper 1173, Washington, D.C.: U.S. Government Printing Office 1982, p. 93-96, 100). It doesn’t take a genius to see the flaw with that one. 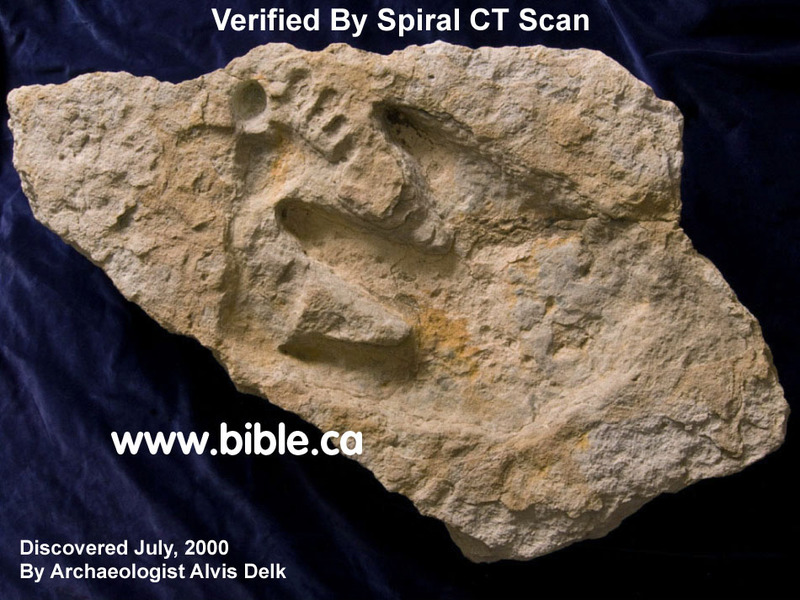 In fact, ostrich tracks have been documented at Blue Beach in Nova Scotia, supposedly 350 million years old (Ian Juby, “Special report #2: The strange fossil footprints of Horton Bluff, Nova Scotia”, CrEvo News, May 12, 2012, http://ianjuby.org/newsletter/?p=602#3 ). So ostriches are older than the dinosaurs from which birds supposedly evolved? time (F. S. Holmes, The Phosphate Rocks of South Carolina and the Great Carolina Marl Bed, p. 31). This is the subject of geologist John Watson’s book Man Dinosaurs And Mammals Together, available from the Mt. Blanco Fossil Museum (http://www.mtblanco.com ). Drs. Davidson and Wolgemuth specifically state, “Ferns and meadow flowers should be found in the same deposits” in old deposits. Fern spores and flower pollen have been found in Cambrian rocks assigned an age of 361-440 million years before flowering plants evolved (See R. M. Stainforth, “Occurrence of Pollen and Spores in the Roraima Formation of Venezuela and British Guiana,” Nature, vol. 210, April 16, 1966, p. 292-294; A. K. Ghosh and A. Bose, p. 796-797; A. K. Ghosh and A. Bose, “Spores and Tracheids from the Cambrian of Kashmir,” Nature, vol. 169, June 21, 1952, p. 1056-1057; J. Coates et al, p. 266-267). In fact, flower pollen has been found in Precambrian rocks, meaning they are found in rocks supposedly 152 million years before the first land plants evolved (George F. Howe et al, “A Pollen Analysis of Hakatai Shale and Other Grand Canyon Rocks,” Creation Research Society Quarterly, vol. 24, March 1988, p. 173-182). The Miracle that we even find dinosaur bones and other older fossils. The Fossil Record Shows Devolution from Greater Ancestors http://greaterancestors.com/ Other sites: Many show past erosion rates as lower than today, today’s rates being affected by humans. But I think this question still poses a scientific issue on Fossils and their age. This is a tough one, as we can only extrapolate and make models about past erosion rates. Evolutionist claim an extinction event (meteor bombardment- the most widely accepted theory) wiped out dinosaurs and almost all life of earth. This created a genetic bottleneck event, from which they say life rebounded and created all the diversity of creatures we have today. Yet they ridicule the notion that in a global flood cataclysm Noah could have preserved two pairs- at least 4 of ever creature (in ancient Hebrew) these being ancestral creatures whose genetic makeup was not deteriorated or depleted. See the Cheetah’s genetic extinction*. What is more genetically difficult. Everything we see today coming from a complex mix of chemicals spontaneous generation/abiogenesis to all life then a mass extinction event approx 50 million years ago of the dinosaurs etc. to all the life we see today. Or the Creation of ancestral kinds of creatures (ancestral wolf/dog to all species of dogs), a global flood cataclysm (see In The Beginning, by Dr Walt Brown) causing a genetic bottleneck, from which we know species typically rebound from with great amounts of diversity (see Degeneration: The End of Evolutionary Theory). Are there all that many dinosaur species or do scientists not want to share discoveries? Just how many Ancestral kinds of Dinosaurs are there? Were Allosaurus and T-Rex just different species of the same genetic kind? Of all the creatures in the fossil record (which all agree is still being added to with new discoveries) are there any creatures alive today- major body types - which we do not find there? If progressive evolution is true shouldn't there be hundreds even thousands of creatures alive today which are nowhere found in the fossil record? It seems to me we find the opposite. We find thousands of creatures alive in the past who have gone extinct and are no longer alive today. Isn't this evidence of kinds speciating, adapting and degenerating to extinction? Where's the evidence? Actually, all over the world! Many sedimentary layers contain dinosaur bones, mammal bones and human bones. Of course these evidences are hotly contested by evolutionists/atheists. If even one of these is true, than it sounds a death knell to NP Evolution. Taken with all the evidences countering NP Evolution from all disciplines of science, it should make one take the time to think about and research the issue of origins for themselves. Source: bible.ca/tracks/utp-upper-taylor-platform-mcfall-trail.htm True finds or fakes? Icca stones: Fake or Real? The Dinosaur Figurines Of Acambaro, Mexico : Fake or Real? Walking Amidst the Dinosaurs http://www.apologeticspress.org/apcontent.aspx?category=9&article=37 Historians, Explorers Herodotus, Ulysses Aldrovandus, Pliny the Elder, Josephus, and Marco Polo. All of these men recorded seeing different types of creatures that they called dragons. · Man partially separates himself and the earth (all their given domain) from God’s sustaining power – not totally or all would die and cease to exist, God being the essence of life, light and existence / reality. · God's supernatural sustaining life is lifted from man and creation- see the purpouse for the tree of Life. In the Beginning: Compelling Evidence for Creation and the Flood, by Dr. Walt Brown. · At least two pairs (4) of ever creature mentioned above are preserved. All ancestral kinds, being in eggs, juveniles/ babies- young durable and small. This would reduce the space and food needs- all creatures would have been able to subsist on organic/ plant material, see above herbivorism. Massive amounts of plants were floating on bio-mats in the cataclysm waters- which weren’t salty like to oceans of today- providing additional food. Many animals may have entered a hibernation state, eating less and taking less maintenance. · Genetic ancestral kinds speciate, diversify and adapt to what we see today. Sunken Realms: A Survey of Underwater Ruins from Around the World by Karen Mutton · warmer oceans due to volcanism etc. precipitate a rapid ice age. · harsher environmental conditions – making it harder for animals to adapt and survive. Dinosaurs being reptilian would have a harder time surviving an ice age. 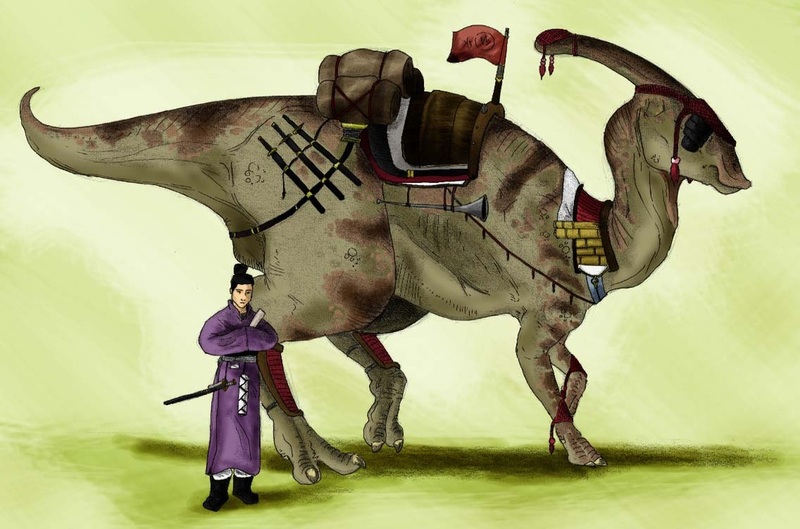 · Today, due to 200 years of Evolutionary theory practically no one is looking for or believes that dinosaurs/dragons still might exist in extremely remote places or in large bodies of water. All evidence that threatens their evolutionary / atheistic views are ignored, destroyed or explained away. So, what do you think? Is the history valid, the evidences. It is irrational and stupid to propose human dinosaur coexistence? Will more human searching and discovery destroy or reveal the evidence? Will future discoveries confirm or invalidate human dinosaur coexistence. If there are new discoveries in favor of coexistence will they be ignored or destroyed to keep public funding of evolutionary science theory and their public funded research and teaching in our schools. Wouldn't it be sad if because of evolutionary theory and beliefs we destroy and lose our chance to connect and learn more about these amazing “terrible lizards” of the past? Will we trade discovery for a theory that limits all we can know to the material world and the security and comforts of humans wanting to only answer to themselves?